Gresham is a welcoming community of hard-working people where tradition and heritage meet innovation and opportunity in Oregon’s fourth largest city. Located just minutes from iconic Mount Hood, Multnomah Falls and the Columbia River Gorge National Scenic Area, the city of Portland, and Portland International Airport, Gresham’s location is ideal for families and businesses wanting to start something new and grow. Gresham’s residents care deeply about our heritage as a homestead and agricultural community, and are committed to building a vibrant future. 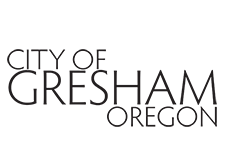 Today, Gresham is a dynamic, innovative and rapidly growing city with a mutual desire and drive to thrive. In Gresham, we are family.